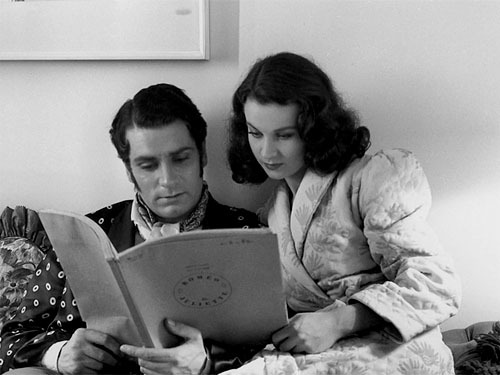 People frequently leave comments on the Vivien Leigh and Laurence Olivier Facebook page asking what the best Vivien Leigh biographies are. Which books books should they read to learn more about the actress? What do I think of a certain book? The Oliviers’ fame spanned different mediums: film, theatre, television, photography, and there are many books besides standard biographies that contain interesting information and amazing pictures. 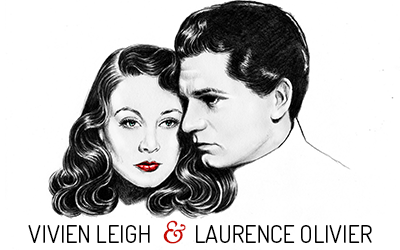 I thought it would be useful to make a post about the Vivien Leigh and Laurence Olivier books that I personally think are tops. I’ve separated the list into categories and provided links to where you can purchase your own copy. If you would like to see a list of all of the books that were used in the making of vivandlarry.com, check out the resources page. My Father Laurence Olivier by Tarquin Olivier — Written by Olivier’s eldest son, this book is intensely personal. Tarquin’s relationship with his father was at times loving and at times very rocky. Yet despite all of this, it’s easy to tell that he admired Larry. He also adored Vivien Leigh as a step-mother and has always maintained that Vivien was the love of Larry’s life. This book is full of lovely anecdotes and rare photos. A must-read for any Vivien or Larry fan. Olivier by Terry Coleman — This is my favorite standard Olivier biography. It’s a giant tome, and some people had qualms about it, but what I liked was the fact that Coleman was granted full access to never-before-seen letters and photos from the Olivier Archive at the British Library. I also liked that Larry’s relationship with Vivien was treated frankly and fairly, unlike most other Olivier biographies in which she is made out as the villain (conversely, Leigh biographies tend to do the same to Olivier). If you want a detailed account of Larry’s life, this is the book for you. The Oliviers by Felix Barker — The Oliviers is an authorized biography written in 1953 with the subjects’ consent and help, so it’s censored. You won’t find anything about their marital problems or details about Vivien Leigh’s bipolar disorder. yet, even though it’s sanitized in this regard, it’s extremely insightful and well-written. We get first-hand accounts from Larry and Vivien and intimate details about their performances on stage and film, and of course whatever they wanted the public to know about their relationship. This book is a great resource for any historical study of their lives or films, and the pictures are fantastic. The UK version even has some different photos than the US version. The Oliviers may be difficult to find for a reasonable price, but occasionally a copy pops up on ebay, so keep a look out! Vivien Leigh by Hugo Vickers — This book is widely regarded by fans as being the best Vivien biography ever published, and rightly so. This book was carefully researched and tells Vivien’s personal story in detail. It’s full of insightful quotes from her friends and colleagues, and sprinkled with excerpts from letters Vivien wrote herself. The Vivien that emerges from the pages of this book was more than just a pretty face. She was a sensitive, humorous, intelligent, and sadly troubled but admirable human being. Vivien Leigh A Bouquet by Alan Dent — This gem is a must-read for any Vivien Leigh fan. It was published shortly after her death by one of hers and Laurence Olivier’s closest friends, critic, screenwriter and author Alan Dent. 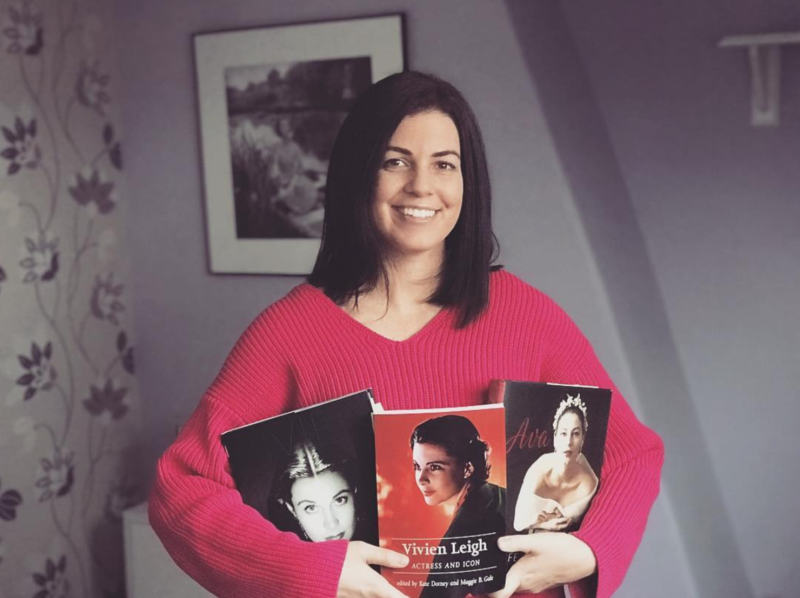 Although it contains a standard biography, what makes Vivien Leigh A Bouquet unique is all of the remembrances from Vivien’s friends and colleagues. Famous names such as David Niven, Cecil Beaton, Dirk Bogarde, and Rachel Kempson filed out a survey sent to them by Dent talking about the effect and lasting impressions Vivien had on their lives. Some of the anecdotes aren’t as gleaming as others, but hey, Vivien wasn’t perfect. It’s clear she wouldn’t soon be forgotten, though! This book is out of print and runs for a high price, but, like The Oliviers, a deal can sometimes be found online. Confessions of an Actor by Laurence Olivier — The master himself talks life, love, and of course, his stellar career. Blunt and honest, this book is a must-read first-hand account. I think he’s funny. Bring on the Empty Horses by David Niven — The second of Niven’s two biographies, Bring on the Empty Horses contains anecdotes about the actor’s famous friends. One of these stories is the harrowing account of Vivien Leigh’s nervous breakdown in Hollywood in 1953. He disguised her name as Missie. David Niven has sort of been called out by his biographers as having a penchant for stretching the truth (always in a non-malicious manner) for the sake of making a good story, however, the Missie story is probably more-or-less accurate. We know he was really there, both Larry Olivier and Stewart ranger confirm it, as do newswire photos taken at the LA airport. Read David’s Missie story here. By Myself and Then Some by Lauren Bacall — The extraordinary life and times of Betty Joan Perske. The Humphrey Bogarts were close friends with the Oliviers, beginning with Larry and Vivien’s return to Hollywood in 1950. Bogie greatly admired Larry, and Lauren and Vivien became fast and lasting friends. Lauren talks about good time she shared with Vivien and Katharine Hepburn, about the shocking dinner she had with Laurence Olivier in which he told her he was leaving Vivien and that she needed her friends to be around her at such a vulnerable time. She also talks of how she and Vivien would often go out on the town in London with Kay Kendall and Noel Coward after Bogie died and Larry left. A Life in Movies by Michael Powell — One of the most revered British directors of all time, Michael Powell’s autobiography is a rollicking read. Powell greatly admired Laurence Olivier and had known him since the early 1930s when he worked on the film Perfect Understanding, co-starring Gloria Swanson. They worked together again in the 1941 propaganda film The 49th Parallel, and Powell tried to secure Larry for several of his other films, including the lead in The Life and Death of Colonel Blimp. Jean Howard’s Hollywood by Jean Howard — Jean Howard was a beautiful wannabe starlet in the 1930s before turning to photography. Her books consists of amazing candid snapshots of the who’s who of Old Hollywood. From the 1930s to the 1960s, it chronicles parties, weddings, film shoots, and more, showing the glowing stars of yesteryear as themselves. Some of the faces that show up frequently in this book include Tyrone Power, Judy Garland,Rita Hayworth, Lauren Bacall, Frank Sinatra, and of course, Laurence Olivier and Vivien Leigh. Vivien a Love Affair in Camera by Angus McBean — One of only two (if you count Vivien Leigh by John Russell Taylor) photography books focusing on Vivien Leigh that have been published. Angus McBean was known for his surrealist portraits of celebrities and photographed Vivien Leigh and Laurence Olivier numerous times throughout their careers (as did his assistant, John Vickers). Vivien liked his portraits so much that she pronounced him her “official” photographer. This is a beautiful book that was lovingly put together and includes wonderful anecdotes from a man who truly admired Vivien Leigh. The photos are spectacular. Beaton Portraits by Terrence Pepper — Cecil Beaton was one of the most famous fashion and society photographers of the 20th Century. This book is full of amazing photos (including some brilliant rare ones of Vivien Leigh) assembled by Terrence Pepper, curator at the National Portrait Gallery in London. Clifford Coffin: Photographs from Vogue 1954-1955 by Robin Muir — As a vintage Vogue aficionado, I am in debt to Robin Muir and Robin Derrick for putting together so many amazing photography books filled with the most beautiful rare images from the vast archives of Conde Nast. Clifford Coffin was one of American Vogue’s best photographers, and this book is brilliant for bringing together many of his rare contacts, including shots of Laurence Olivier and Vivien Leigh in London in 1947. Stunning, amazing, and flawless. In Vogue by Georgina Howell — Definitely one of my personal favorites. This amazing hard-cover book of treasures covers the history of Vogue magazine from its inception to the 1960s. Georgina Howell certainly did her research and the results are astounding, chronicling changing mores, trends and the faces of fashion’s most famous publication. Did you know that Vivien Leigh was considered one of British Vogue’s “fresh faces” in the 1940s, despite her having modeled for the magazine since 1935? Knowledge is power! Howell also published an updated version called In Vogue: Seventy-five Years of Style, but this one is the best. Dressed: A Century of Hollywood Costume Design by Deborah Nadoolman Landis — Just as fashion can define decades, costumes are often as essential to a film as the actors wearing them. They can either convince an audience of a certain authenticity of time and place, or they can be totally wrong for the period in which a film is set. For many older films, costumes have become iconic relics of cinematic longevity. Landis picks the best of the best (including those famous dresses of Scarlett O’Hara’s from GWTW) in this beautiful anthology. The Art of Gone with the Wind by Judy Cameron and Paul J. Christman — I like books with a lot of pictures. There, I admit it! The Art of Gone with the Wind is brilliant in that respect. It charts the making of the film through examination of the collective components that made the movie: costumes, sets, make-up, etc. And the photos, oh! The photos! Anything by Herb Bridges — Herb bridges is a really sweet guy, and he happens to be the be all and end all of Gone with the Wind. His collection is astounding and lucky for us, he’s chronicled all of his knowledge into these amazing books! The Filming of Gone with the Wind, Gone with the Wind The Three Day Premier in Atlanta, and Gone with the Wind: The Definitive Illustrated History of the Book, Movie, and Legend are three of the best purchases I ever made in the GWTW book department. If you’ve read a good book about Vivien Leigh, Laurence Olivier, Gone with the Wind, etc. that you don’t see listed here (but you think it should be listed), tell us about it in a comment! Vivien : The Life of Vivien Leigh by: Alexander Walker. I found that one to be really good. I’d also recommend “Olivier,” edited by Logan Gourlay (1975 paperback edition by Stein and Day), a great collection of interviews about Olivier from twenty people who knew and/or worked with Olivier over the years. yes, I agree about the Logan Gourlay book. It’s a bit like the Alan Dent Vivien book and is really interesting. ‘Olivier’ by Anthony Holden…a personal favourite and a good read. ….Plus Angus McBean ‘facemaker’ by Adrian Woodhouse. After reading Kendra’s above link to David Nivens recounting of the incident with Missie…I felt like i was almost there feeling the exasperation, fear,& exhaustion that David Niven went through in the 3 days he kept Vivien at bay while waiting for Olivier to arrive from abroad. Let me say that I have experienced this very same thing with a loved one. This account of Niven’s incident with Viv took me back and I felt like I was reading about myself and my loved one only the names had changed. I would luv to be able to find this book and maybe find alittle of myself and what I was feeling and feel now. Thanks for the recomendation about the Gourlay book, I didn’t know whether to buy it or not. I have “Olivier at work”, good pics and anecdotes from the NT days but too succint, I wish they talked about the productions. Right now I’m reading J.Plowright’s autobiography. Many books written by famous artists refer to the Oliviers, especially to sir Laurence (see Franco Zeffirelli bio , or Joan Fontaine “No bed of Roses”, Angela Lansbury memoirs and so on) . I woud also recommend John Cottrell biography ” Olivier” “- Kendra , may I ask you whether are you planning ro read “the Private lives of Laurence Olivier and Vivien Leigh”? The title itsef (damn it–) seems to me disturbing and simply disrespectful…. should we encourage this kind of sensationalism by buying this kind of books? @Matilde–I’ve posted about the Damn You… book on the facebook page but have no intention of writing about/promoting it here. Especially after reading the press release/seeing the strange youtube videos the publisher made/reading all of the tabloid publicity about the book. I, too, find it really disrespectful.